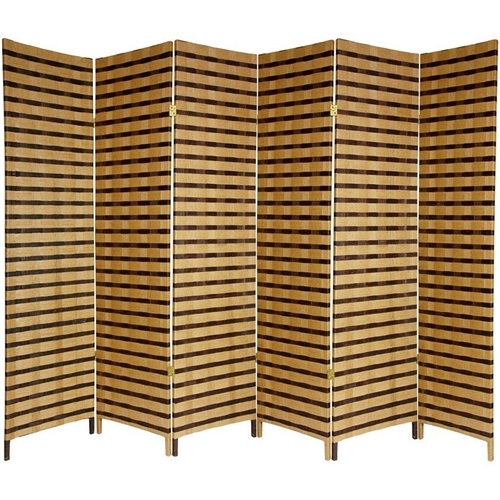 A simple, effective and beautiful room divider, offered in 3, 4, and 6 panels designs. 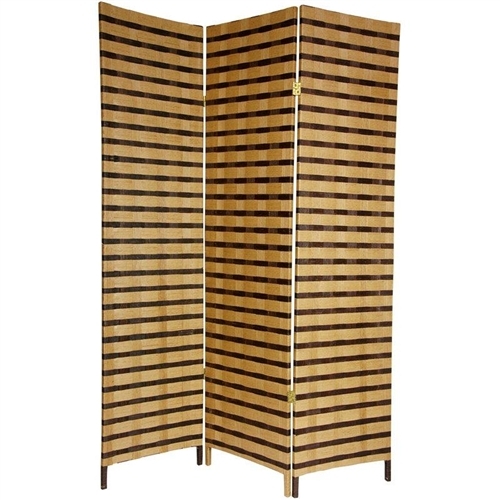 Well crafted hinged panels, built from lightweight kiln dried Spruce frames. The frames are shaded with cross woven natural plant fiber cord. Entirely opaque, no light passes through the panel, providing complete privacy. A perfect privacy screen, great for temporarily blocking light or the view from windows and doorways. 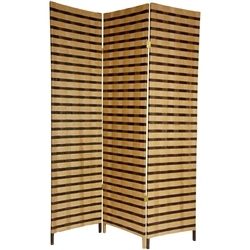 An attractive decorative screen with an attractive two tone finish, great for creating a cozy nook for a table and chairs. Divide two spaces, redirect foot traffic, a light, portable, practical room divider at an unbeatable price.